Symptoms of loomimg heart attack are often (but not always) pain in the jaw, neck or back. If the blood supply to the heart muscle is cut off, a heart attack can result. Cells in the heart muscle do not receive sufficient oxygen and begin to die. The more time that passes without treatment to restore blood flow, the greater the damage to the heart (and brain too of course). Having high blood pressure or high blood cholesterol, smoking, and having had a previous heart attack, stroke, or diabetes can increase a person's chances of having a heart attack. According to the American Heart Association, almpst 900,000 Americans have an initial heart attack and another 500,000 or more have a recurrent heart attack each year. According to a CDC report, almost half of the cardiac deaths in 1999 occurred before emergency services and hospital treatment could be administered. 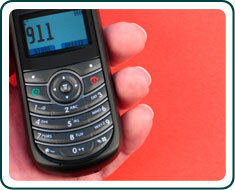 It is important to recognize the signs of a heart attack and to act immediately by calling 9–1–1. A person's chances of surviving a heart attack are increased if emergency treatment is given to the victim as soon as possible. >Aspirin can be beneficial to individuals who already have experienced a heart attack, stroke, angina or peripheral vascular disease, or have had certain procedures such as angioplasty or bypass. Doctors may recommend aspirin use for persons with these conditions unless there is another medical reason why a patient should not use aspirin. Because aspirin may not be the most effective therapy for everyone, other anti-platelet medicines may be used instead of aspirin or along with aspirin. As with all medications, patients with cardiovascular disease should first speak with their health care provider to learn about the benefits and potential harms of aspirin therapy for them. Providers should be aware that recommendations on size of dose and length of treatment can vary in organizations and by disease. Aspirin can be taken to prevent heart disease and stroke in some individuals who have not previously experienced these events. The U.S. Preventive Services Task Force (USPSTF) recommends that men with no history of heart disease or stroke aged 45-79 years use aspirin to prevent myocardial infarctions and that women with no history of heart disease or stroke aged 55-79 use aspirin to prevent stroke when the benefit of aspirin use outweighs the potential harm of gastrointestinal hemorrhage or other serious bleeding. As with all medications, individuals should first speak with their health care provider to discuss using aspirin. The USPSTF also recommends that clinicians should discuss the potential benefits and harm of aspirin therapy with their patients. This recommendation is for prevention in people who have not had a myocardial infarction or stroke. Providers should be aware that USPSTF offers one set of recommendations, and these may vary from recommendations by other organizations.